Whether you are a gym regular with a personal trainer who knows you better than your spouse, or still putting off that first visit, there is a fitness-tracking wearable for you. These are generally split into three categories. At one end there are the dedicated fitness trackers; these are small wristbands which log movement (and sometimes your heartbeat, too) throughout the day and night, then send this data to a companion smartphone app for analysis. At the other end of the market, there is the smartwatch. These are larger, more expensive, and have touchscreen displays. They are a bit like miniature computers for your wrist, and some even have cellular connections so they can handle calls and texts without being connected to your smartphone. In-between, we find the hybrid smartwatch. 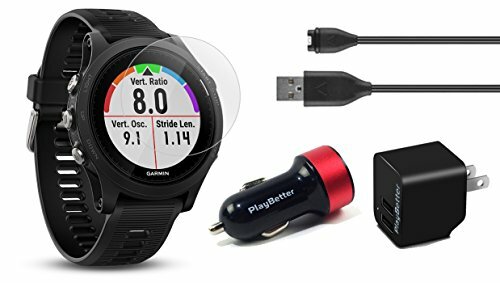 Devices in this category look more like regular watches, but have accelerometers and heart rate monitors to track your exercise, then send his data to your phone where it can be viewed in detail. These devices usually have a second dial on their face to show how far you have walked each day, but the rest of the data they collect can only be viewed on the phone app. 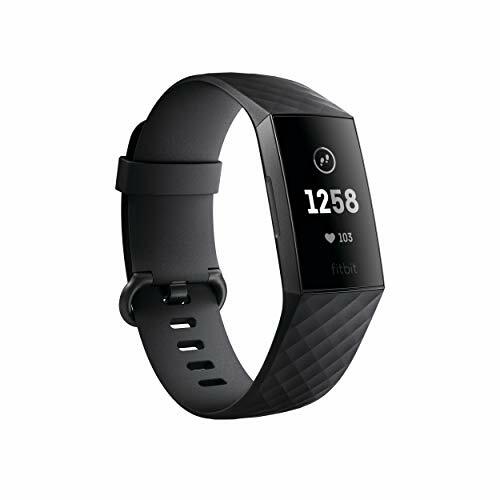 Announced earlier this month and available now for pre-order, the Fitbit Charge 3 is a fitness tracker with a small monochrome display for showing your step count, heart rate, distance covered, and more. The Charge 3 monitors your heart rate 24 hours a day, is waterproof to a depth of 50 meters, tracks your sleep, and automatically logs a wide range of activities, from walking and running, to aerobics, cycling and swimming. The device has a seven-day rechargeable battery and serves up notifications from your phone, like incoming calls, messages and other alerts. A cheaper alternative to the Fitbit is the Misfit Shine 2. This wearable tracks your steps, exercise and sleep, but keeps things simple by having an interface made up of 12 LED lights instead of a touchscreen. The Shine 2 can still notify you to incoming calls by vibrating on your wrist, but the lack of a display means it lasts six months before needing its regular watch battery replacing. 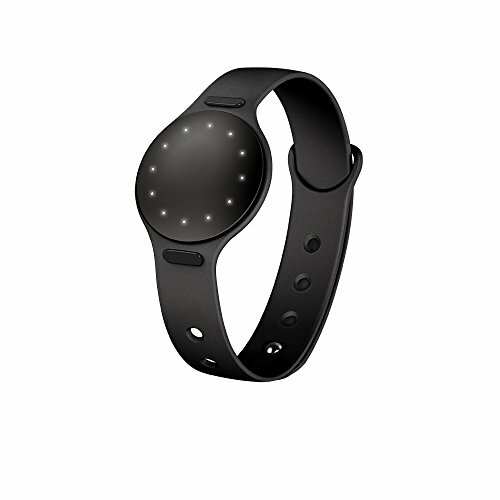 The Misfit is water resistant, tracks steps, distance, calories burned, sleep quality and duration, and can even be hooked up to IFTTT (If This, Then That). As well as recording your movement, exercise and sleep like any other fitness tracker, the Moov Now includes a virtual fitness coach who speaks to you as you train. 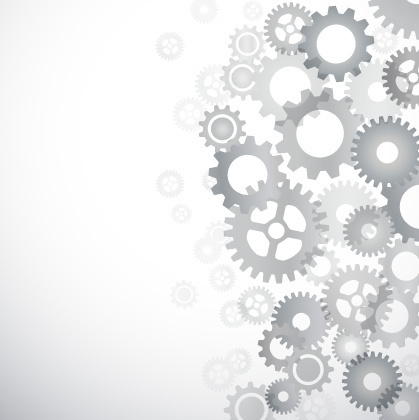 The coach provides encouragement to reach your targets, but also offers advice to help improve your technique. For example, the coach will suggest you change your running technique to lower the risk of an impact injury, or will suggest when to change gear while cycling up a challenging incline. The AI coach also works while swimming, as the Moov can detect what stroke you are using, then identify when you turn around at the end of the pool, and time your lengths. After your swim, the Moov Now provides analysis and offers ways to improve. The Moov Now is worn on your wrist to track swimming, and on your ankle to record running and cycling. Wearing two enables boxing tracking, and the replaceable battery lasts six months. 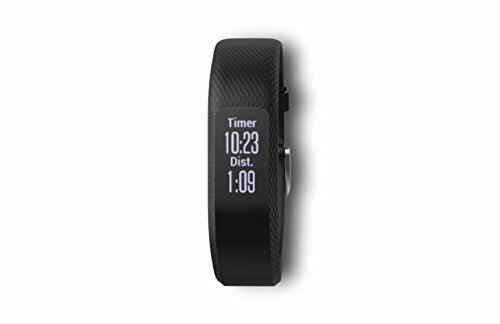 Similar to the Fitbit Charge 3, the Vivosmart 3 by Garmin is a fitness tracker with a simple monochrome display, five days of battery life, 24-7 activity and heart rate recording, and notifications from your phone. This wearable also has a focus on wellness, with all-day stress tracking and a breathing exercise to help promote relaxation. 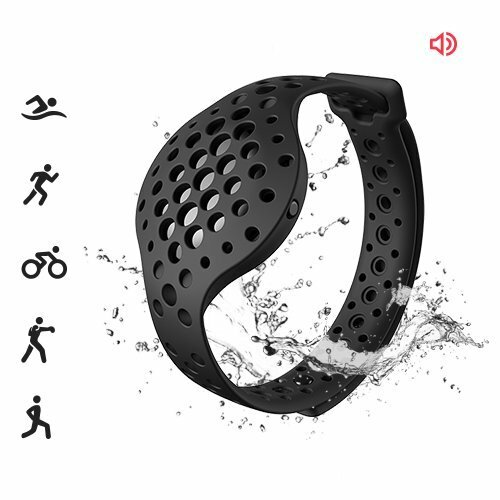 Water resistance is high enough for swimming and showering, and the device offers an estimate of your VO2 Max, which is your maximum rate of oxygen consumption and an indicator of aerobic health. As well as tracking cardio exercise, the Vivosmart 3 understands weight training too. It will log your reps and sets for each exercise and push this data to the companion smartphone app. Moving our attention from the wrist to the ears, these wireless earphones play music, take calls and give you access to your smartphone's virtual assistant. But they also include motion sensors and a heart rate monitor to become your own personal trainer. 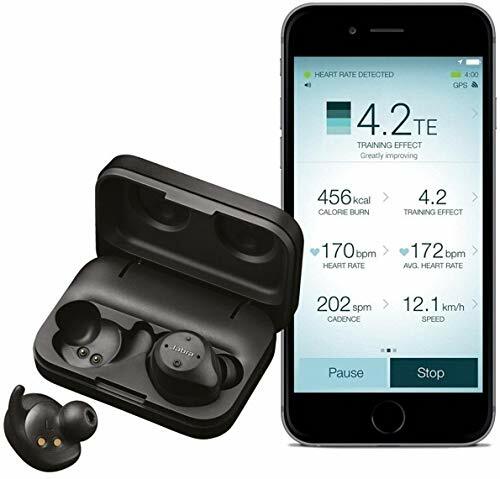 Together with the companion app, the Elite Sport earphones talk you through your exercise, suggesting a change of pace while running, or offering words of encouragement when you're closing in on a new personal best. Battery life is 4.5 hours, with enough energy for a further nine hours stored in the storage case, which automatically charges the earphones when they are inserted. One for those who are serious about exercise, the Garmin Forerunner 935 is a smartwatch which is focused on fitness. There is GPS to track your runs, plus a barometer, altimeter and electronic compass to keep the data as accurate as possible. 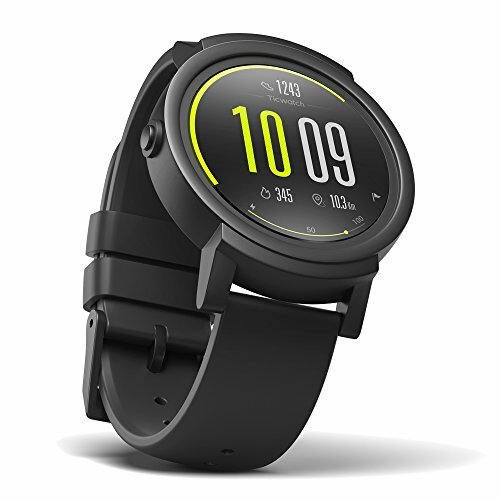 Live performance monitoring lets you know (on the 1.2-inch touchscreen) if you can work harder or are overdoing it, and the watch automatically tracks running, cycling and swimming, plus hiking, rowing, golf, skiing and paddle boarding. For those who are serious about crunching their running data, the Forerunner 935 logs your ground contact time for each step, plus your balance, stride length, vertical ratio and other metrics. Smartwatch features include notifications from your phone, music playback (although tracks cannot be stored on the watch itself), and apps like Uber. Battery life is stated as between 24 hours and two weeks depending on how the device is used. If you prefer your fitness tracking simple and your watch to be conventionally attractive, then the Nokia Steel HR makes for a good-looking compromise. This is a hybrid smartwatch which has physical hands for telling the time, but also boasts a second dial for showing progress towards your daily step goal, and a small monochrome display for your heart rate. This display can also show the date, the time of any alarms you have set, and simple notifications for calls and texts. The watch automatically tracks walking, running, swimming and sleep (among other activities), then logs distance, time and calories burned. Battery life is approximately 25 days and is topped up with the included charger. 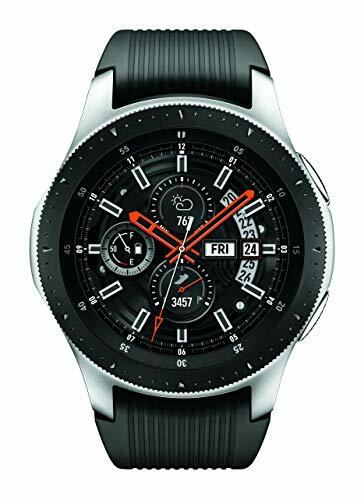 The new Galaxy Watch by Samsung was launched this summer and is the company's latest attempt to lure buyers away from the Apple Watch. The Galaxy Watch is available in two sizes and is a fully-fledged smartwatch; it runs Samsung's Tizen operating system with apps like Uber and Spotify, has 4GB of storage for music, and includes a comprehensive fitness, sleep and stress-tracking system. The Galaxy Watch has a heart rate monitor and can track 40 different exercises, including running, cycling, swimming, aerobics, treadmill, weight lifting, yoga and more. The Samsung Health companion app helps you digest data collected by the watch, and is where you can set goals and add information about your diet. A battery life of up to four days, wireless charging, contactless payments with Samsung Pay, and waterproofing to 50 meters round off a very capable smartwatch. 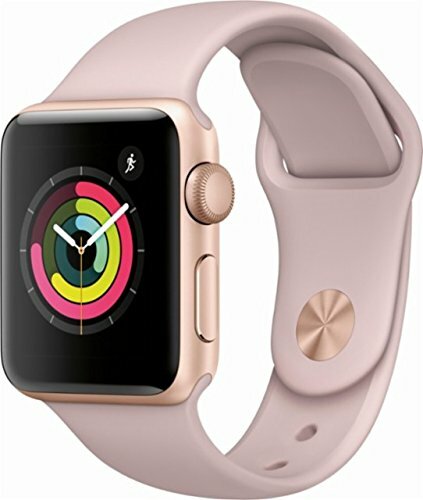 Apple's current smartwatch, the Watch Series 3, is offered in two sizes (38mm and 42mm), five different case colors, and a wide range of straps; there is also an LTE model which can handle texts and calls without being connected to your iPhone over Bluetooth. It runs watchOS and has a broad selection of apps, plus there is a heart rate sensor, GPS, an altimeter, and water resistance for swimming. You can also sync data between the Watch and compatible gym equipment with a tap, through Apple's new GymKit platform. 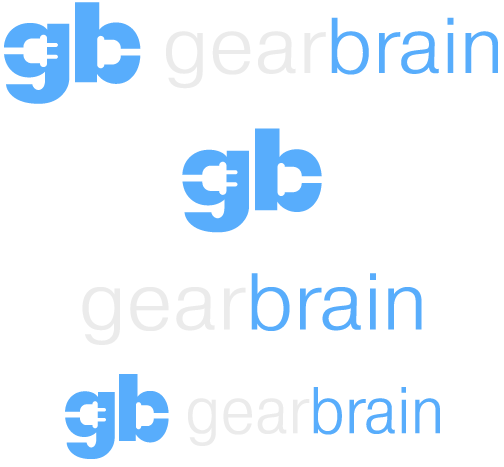 Although sleep tracking isn't officially supported by Apple, there are third-party apps for this. One, called Sleep Cycle, tracks your sleep and also uses the Watch's Taptic Engine to tap your wrist if you snore, encouraging you to turn over. Buying a smartwatch right now comes with a couple of caveats. First, both Apple and Google are widely expected to be announcing new watches during the fall. The Watch Series 4 will likely launch alongside news iPhones in September, while the Google Pixel Watch is tipped to land alongside the Pixel 3 smartphone in October. As such, it could be worth waiting until then — either to bag yourself the newest version, or get a discount on the outgoing models. We should also add that Nokia Health was bought out earlier this year and is being transformed back into Withings, the French health tech company acquired by Nokia in 2016. 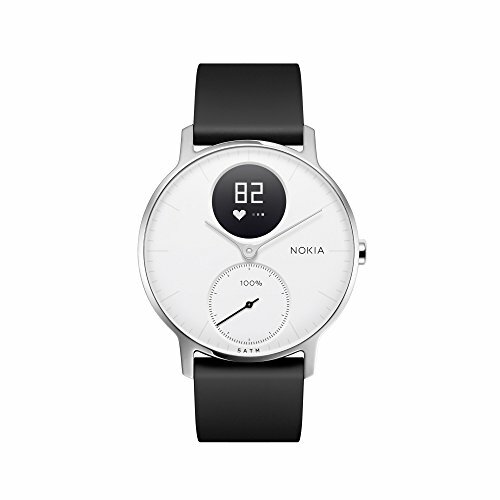 We are expecting to see Nokia Health devices rebranded as Withings by the end of 2018, which could mean discounts for old Nokia-branded stock.